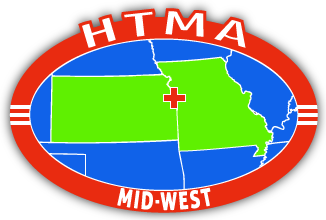 Healthcare Technology Management Association of the Mid-West - Job search sites. Search site specific to healthcare, relativity new but looks promising. Link is set for biomedical in the Kansas City area. For search site, click here. The search function is not a filtered as would be preferred but it does catch most biomed jobs, you will just have to go through multiple pages with some redundancies. The link is set for biomedical equipment technician and the Kansas City area. For the search site, click here. Produces similar results and format as JobSeek. The search function pulls jobs with any word in the search in the job title or description, but the filters on the side allow for a quick trims the results to a very useful list. To get to the site, click here. Not the best at filtering for biomed, but has good links to other search sites and general gets all open positions (also pull down closed positions quickly). The link is set for biomedical equipment technician in the Kansas City area. To access the site, click here. The Ladder requires you to open an account, the basic account is free. the site is more then a job search site as it allows for reviews of jobs, companies, and interviews. These reviews are anonymous but are shared with the companies they are about, so be careful what all you provide for information about yourself. Good site for research. The link is for a search for biomedical equipment technician in the Kansas City area. To access web site, click here. Not a very good filtering in the search as it will give diesel repair tech in the search for biomedical equipment technology. It has given some jobs earlier then others for some positions. To get to the search site, click here. The Ladder requires you to open an account, the basic account is free. the site is more then a job search site as it allows searches for companies specifically and is meant for advancement into management. To access site, click here. Not quite a complete listing of open biomed jobs, had teh Shawnee Mission manager position listed 4 different ways (one for the medical center, one for the management group, one for a head hunter and one under Texas Health Huguley...I do not understand this one) but not unhelpful. Often has the same job posted multiple times on successive pages. Link is set to search for 'biomed' at '64114' and can be easily edited.